After she graduated from RP two years ago with a Diploma in Communication and Information Design (formerly known as DCID, now renamed as Diploma in Mass Communication), Nadia AlInsyiraah Ismail, 21, was like every other newly minted diploma holder: She wasn’t sure if she should work or study. Following a successful internship stint at Mediacorp, she was offered a full-time contract. But before that, Nadia had also applied to several universities – mostly in Asia. As fate would have it, on the day she was supposed to sign up with Mediacorp, Nadia got an email to say she had been accepted into a top Korean university: The century old Ewha Womans University. “It was so surreal! I couldn’t believe I even got in. So I spoke to my supervisor at work and he said this was an opportunity I cannot pass up. So I packed my bags and headed to Seoul,’’ said Nadia who is studying for her Bachelor of International Studies (Law & Diplomacy), double majoring in Global Korean Studies. “I have always wanted study in East Asia, I find it has so much culture to offer. My mother was the one who told me to give Korea a chance. I could read basic Hangul so I thought, why not polish on my proficiency, so I just sent in my application,’’ explained Nadia who admits she was a fan of Korean movies, drama and music. Increasingly, students from all over the world are heading to South Korean universities, which are reportedly some of the best in Asia. The living cost as well as tuition fees tend to be lower than other Western universities and there are attractive scholarship offers too. 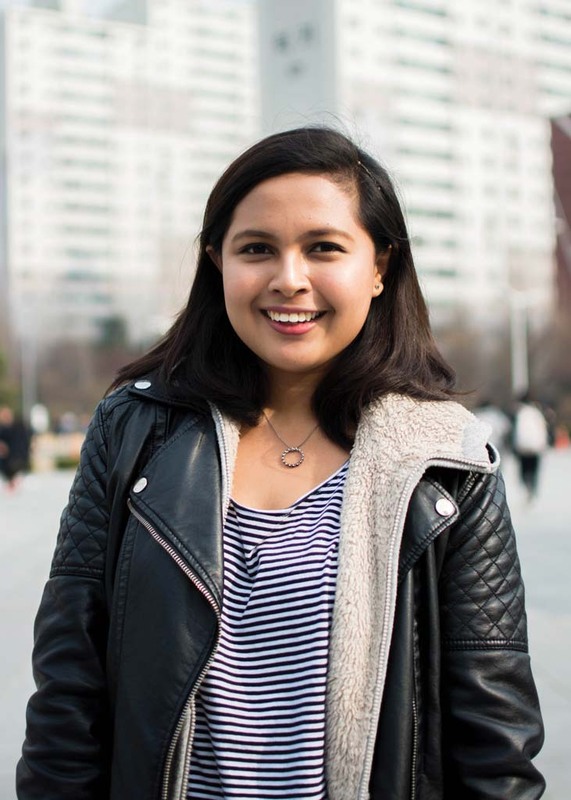 Nadia is one of over 100,000 foreign students in Korea, the first time the country has achieved the landmark figure, according to recent government reports. Fitting into any new environment is hard but to manage in a country where majority speak Korean was a particular challenge for Nadia. During her first year, she stayed on the campus and basically her life revolved around going to classes and going back to her room. “You feel very homesick and then there’s the whole culture to learn – Koreans don’t speak English and you are expected to pick it up. Plus it is not cheap so I ended up having a lot of instant noodles! Those initial months were quite lonely and I called home a lot,’’ said Nadia shaking her head at the memory. Her family visits as often as they can and her mum usually stays for at least a month – cooking her favourite dishes. Besides the language barrier, Nadia observed that in general, Koreans did not mingle easily with exchange students. Added to that is the culture of academic excellence. “Studying in Seoul is almost like a competitive sport. During exams, people bring in their pillows to the library and people go super early to “chope” spots. I am not naturally smart so I make up for it by working really hard and being consistent with my notes and readings,’’ said Nadia, who will graduate in 2019 and intends to pursue a Master’s Degree after. But perhaps one of the most intense experiences of her time so far was when the mass protests to oust President Park Guen-Hye started at Ewha. Nadia explained that one of the students had links to the President and students started a sit-in, which soon spread to professors and then out into the city. It eventually made it to the heart of Seoul with more than a million protesters taking the streets. “Being Singaporean, protests are so alien to me! I was actually very nervous and had no idea what to do – the international students decided we have to stay out of it – but the whole atmosphere was incredible. I had never seen anything like that – where civic movements can bring down a President,’’ said Nadia. President Park was eventually removed from office.